The Portuguese is under immense pressure having lost over 60% of games played this season and is a target for the French principality club, but Abramovich has reportedly rejected a mammoth bid for his coach's services and wants Mourinho to stay on for a while despite the poor run. The Ligue 1 side, largely bankrolled by businessman Dmitry Rybolovlev, offered to buy out the remainder of Mourinho's contract. However, Blues owner Abramovich has offered him support and has told Monaco's middlemen he won't sell Mourinho for that price, although it is believed Mourinho could be got if the fee is doubled to £71m. 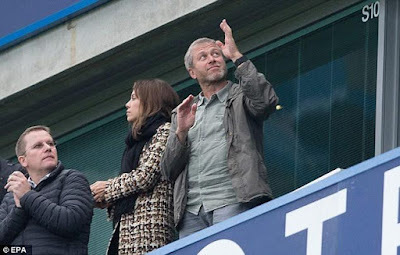 According to Sportsmail, Alessandro Proto, a Chelsea shareholder claims he met Roman Abramovich in London in a bid to prise away Chelsea's beleaguered manager. The Russian billionaire rejected the £35m offer on a day his manager insisted he would remain in London until 2019. 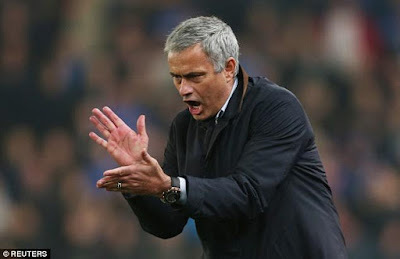 It represents a strong show of faith from Abramovich, who had been urged to dispense of Mourinho after six League defeats with the champions lying 15th. A statement was released by Proto's company, Proto Enterprises, to a Spanish news agency stating the meeting had taken place in London earlier in the day. Proto Enterprises confirmed its authenticity to Sportsmail on Tuesday night and alleged Abramovich could be interested in accepting should they double the offer to £71m.